Summer break comes to an end and it is time to say goodbye to our beloved summer interns. 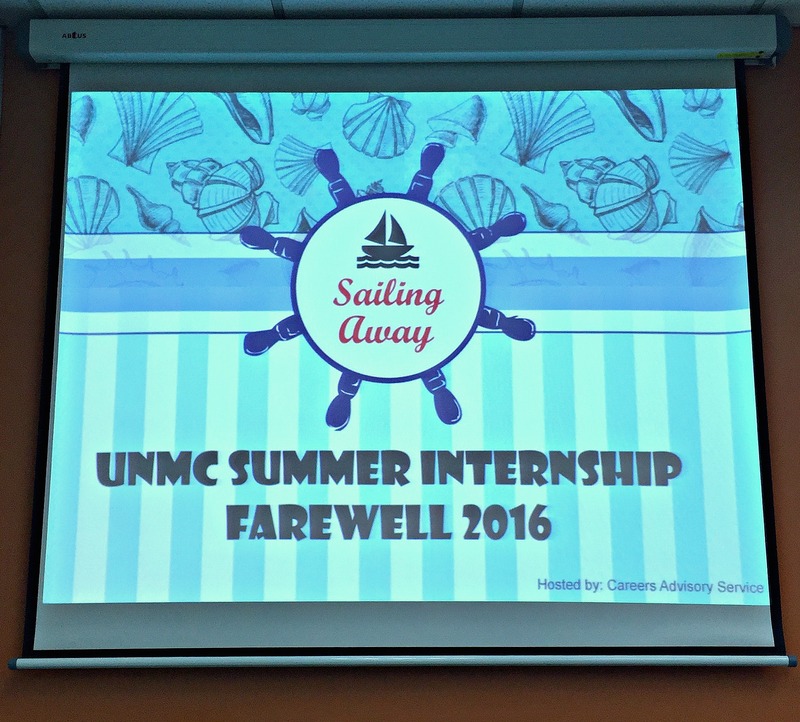 On August 26, 2016, Careers Advisory Service (CAS) organised University of Nottingham Malaysia Campus (UNMC) Summer Internship 2016 Farewell Party which took place at HB14 from 12 p.m until 4 p.m. As to sail away with the memories, the theme “Sailing Away” had been chosen for this meaningful event. 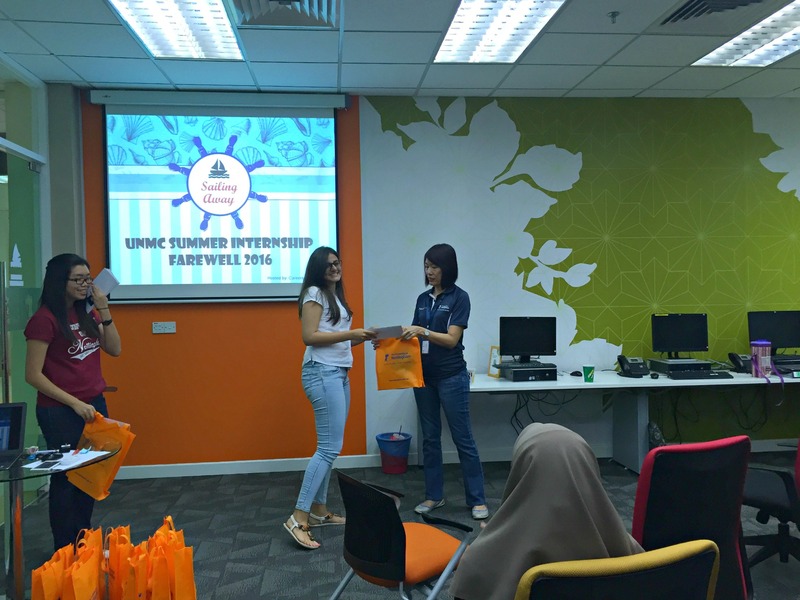 Around 12 p.m, all summer interns gathered at HB14 with happy faces, and the event started with the warm welcome speech by the Head of CAS, Ms. Alicia Ch’ng. The summer intern of CAS, Chong Zhi Ying took the opportunity to display an interesting video produced by her and friends where the summer interns had been interviewed on their experience for the past 3 months. To make the event more lively, it continued with the game session where the three players needed for each round to act on the character, action and place that they drew lot, while the rest took the chance to guess the answer. Besides that, they also had the chance to network with the careers advisers and mingle around among themselves during lunch break. 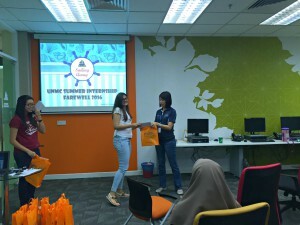 The most awaited part of the event was interns’ presentation where they were given 5 minutes (or more!). 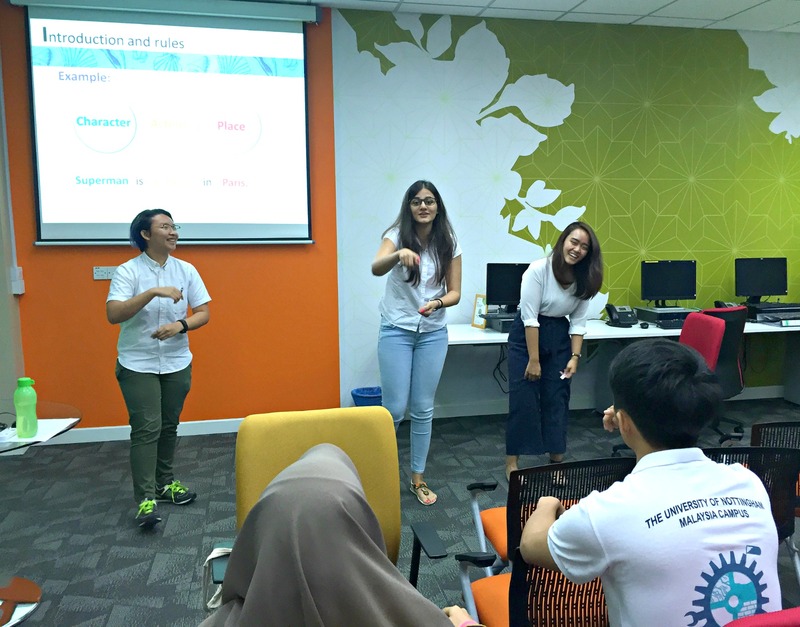 The interns from Faculty of Engineering (FOE) started the presentation with such heartwarming stories and experience, continued by another interns from related department and faculty such as Faculty of Arts and Social Sciences (FASS), and Sports Complex. The presence of their honorable supervisors inspired them motivation to perform well and they also included appreciation speech for their supervisors. 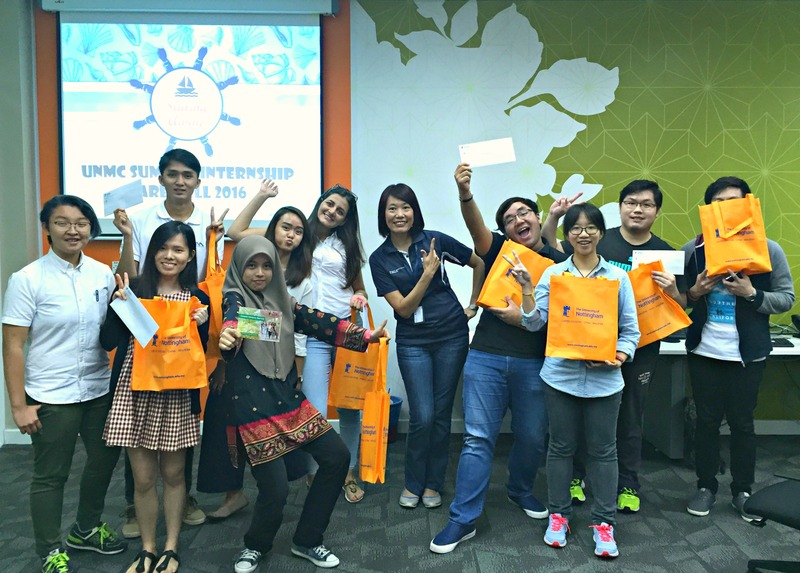 Overall, it was a happening event where all interns expressed that they gained precious experience through this summer internship. 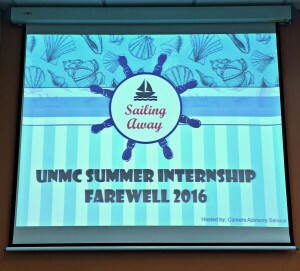 “We hope that CAS will continue this internship programme as it benefit UNMC students to prepare themselves before entering the real working life. Also, this programme opens door for international students to join as well. It was a wonderful experience and I truly enjoyed it.” Melvin from Faculty of Engineering said. We, from Careers Advisory Service wish all the best to all interns and would like to thank those who involved in the execution of the event.